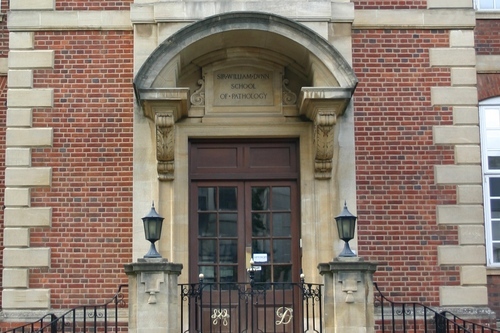 The Sir William Dunn School of Pathology in Oxford (South Parks Road) is a Department within the University of Oxford Medical Sciences Division1. 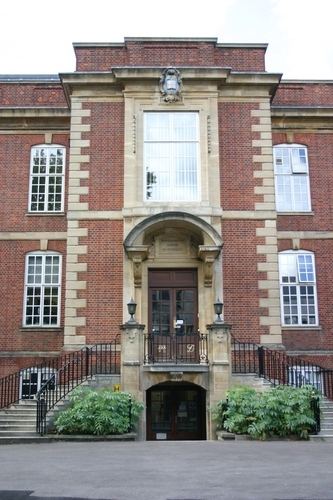 The Dunn School is especially famous for pioneering work on penicillin, which brought in the antibiotic era. The first full Professor of Pathology in Oxford was Georges Dreyer, a Dane, who was appointed in 1907 and remained in post until he died in 1934. "In 1922, the Sir William Dunn Trustees, prompted by Dreyer, offered Oxford £ 100,000 to build a new Pathology Department"2. Despite the antivivisectionists' opposition the offer was accepted by the University. "The foundation stone was laid in 1923; Dreyer inspected every stage of the building, climbing ladders and scaffolding (…). 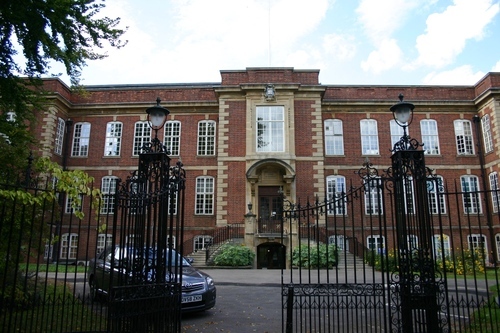 The laboratory was finished by Christmas 1926, and formally opened on 11 March 1927"3. "Dreyer had good cause to be proud of his achievement. It was (and still is) not only the handsomest of the Oxford science buildings but the most efficient (…). 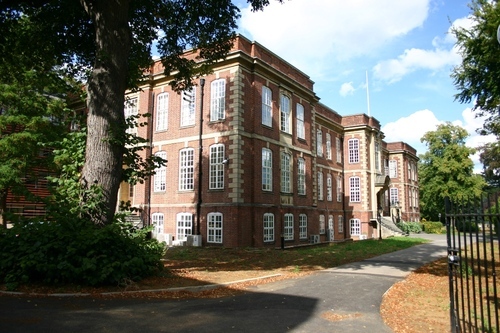 The main block is in the Georgian style on three floors. The lowest is a semi-basament, containing most of the service rooms. The main entrance is on the first floor, reached by a curving escalier d'honneur in the grand manner, and the hall is paved and faced with marble, with a magnificent oak staircase"4. After Dreyer's death in 1934, Howard Florey was appointed Professor of Pathology and consequently Director of the School in May 19355. Under his direction the therapeutic value of penicillin - which had been discovered by Alexander Fleming in 1928 - was demonstrated and "the purification of penicillin was achieved by Ernst Chain, Norman Heatley and Edward Abraham, with Chain and Abraham eventually determining its chemical structure"6. 1. More informations in the Department's official website. 2. G.MacFarlane, Howard Florey. The Making of a Great Scientist, Oxford University Press, Oxford 1979, p. 229. 5. See Ibid., pp. 233 and ss. 6. Retrieved by the School's official website.